The program for Women's Studies in Religion affirms the Graduate Theological Union's long-standing commitment to women's studies in theology and religion. It builds upon the network of academic and community centers, as well as initiatives established by GTU member schools and affiliates, for the study and support of women in religion. The program recognizes the innovative work contributed by women faculty in theological and religious disciplines. The Women's Studies in Religion certificate serves graduate students at the GTU and its member schools who are interested in an academic emphasis on women's studies in religion and/or theology. 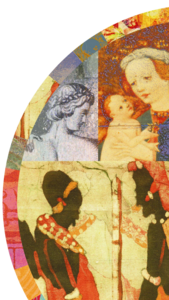 Expanding its network, the program for Women's Studies in Religion is a member of the Gender Consortium at UC Berkeley and is recognized by its Department of Gender and Women's Studies' Designated Emphasis in Women, Gender, and Sexuality program.